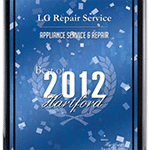 When you need appliance repair service in Massachusetts, Connecticut or Rhode Island, we are available 24 hours a day, 7 days a week. 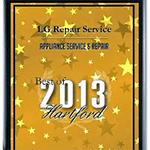 Our mission is to accommodate your busy schedule with affordable appliance repair. 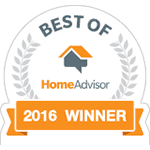 Our success is due to our ability to make good on this mission, as our roster of happy customers throughout Worcheter County can attest. Plus, we offer same day service! 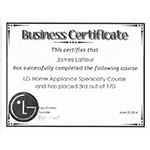 Operate a More Efficient Home with Washer, Dryer, Washing Machine, Stove, Range, Refrigerator & Other Appliance Repair Services from Our Experts here in Dudley, Massachusetts. 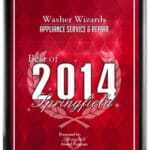 At Washer Wizzards ABC Appliance Repair, we provide a 6 Month Guarantee, in addition to the manufacturer’s warranty on the new parts, on all of our service and repair work. That’s a 100% guarantee to ensure you are completely satisfied with our work. Not valid on 2 person jobs, weekends, after hours, holidays or on high-end appliances. Keep your washer, dryer, stove and other appliances working like new with our Whirlpool Washer Repair and Sears Appliance Repair services in Worcester and Springfield, MA, and Hartford, CT as well as surrounding areas. Washer Wizzards ABC Appliance Repair makes it easier for you to run an efficient home with our wide range of superior fast action appliance repairs 24-7. 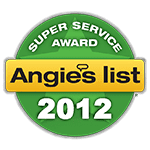 With our stove and range, washer and dryer repairs, and other appliance repair services, you won’t have to worry about dinner being late, your refrigerator keeping your food cold, or your clothes staying dirty. 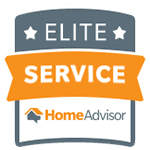 Call us today for complete washer repairs and other appliance maintenance work that keeps your family happy and your appliances in tip-top shape.